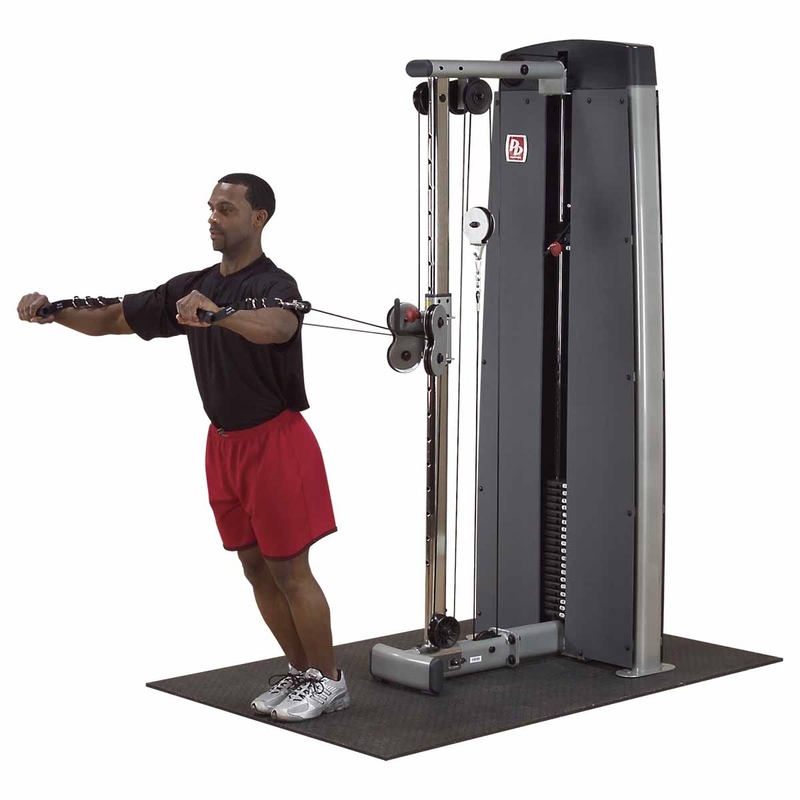 The Body Solid Pro Dual Cable Column offers the freedom of movement to effectively, efficiently conduct numerous weight bearing activities targeting core muscles of the abdomen and lower back. Simple pop-pin adjustment allows the vertically adjustable pulleys to be set for over 100 exercises at a level that is comfortable for any size user. It gives the freedom and range of motion to accomplish a total body workout in just a 3' x 4' area. Weight Plates: Machine drilled to exact specifications and employ over-sized nylon bushings for super-smooth operation.